Today in the United States, it feels like we are constantly running into issues of race, gender, ethnicity and diversity. For decades, there has been encouragement and conversation about increasing minority individuals' involvement in the newsroom. However, reporters are still predominantly white males, with people of color only making up 17 percent of newsroom staff. Even though this is still a small percentage, the amount has increased from its wavering 12 to 14 percent between 2002 and 2014. How can newsrooms continue on this upward slope of including people of all communities and backgrounds, and how will it affect society? Diversity is defined as the inclusion of different types of people in a group or organization. 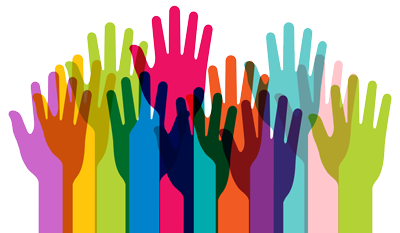 Diversity encompasses people of different races, ethnicities, genders, ages, backgrounds and more. These differences, and a company's ability to embrace them, can be a huge benefit. They provide a variety of viewpoints and a vast collection of skills and experiences. A newsroom that can adapt to diversity will grow stronger and be able to deliver better news to their audience. Why do we need to see more diversity in the newsroom? In today's society, stories of racist or sexist injustices and discrimination arise often. And as a journalist, it's critical to ask the right questions to get the right story. If all of the journalists covering this type of story are of the same background, they will not be able to effectively probe with the in-depth questions that someone with a different perspective could. One of the country's leading African American sportswriters, Lonnae O'Neal, stated, "We need new and different lenses, people of different backgrounds thinking at the table. We'll only be richer for having that. Why is it so hard to set as an intention? Because many folks are going to be uncomfortable with what that looks like." It's crucial that society becomes comfortable with a diverse group of people to report and broadcast our country's news. It will provide us with more well-rounded, versatile news from all different types of people from all different types of backgrounds. Columbia Journalism Review published an article diving into the various ways journalism can address and overcome the lack of diversity in the newsroom. First of all, in order to get as many views and perspectives as possible, it's important to acknowledge that there is a problem. Ignoring the issue makes it impossible to fix it. Secondly, companies need to work to overcome the various barriers to enter the journalism industry. By stepping outside of their comfort zone when hiring, companies can find excellent reporters from different backgrounds. Another way to encourage diversity is to publish articles that give a voice to minorities and accurately tells their stories. Finally, focus on retention. Aside from solely hiring with intentions of diversifying the staff, it's critical to focus on maintaining this staff as well. If there is a lack of diversity in leadership positions, or if people of color and women are being forced to report on the same topic repeatedly, it's more likely they will leave.